Once upon a time, in a faraway land in the month of Tishrei, three little dogs gathered their lulavs and etrogs and built themselves three Sukkot for the week. The big bad wolf comes to the sukkah of the first dog, which is made of straw, and blows it down because it isn’t a kosher sukkah (maybe it’s too tall – or alternatively, you can ask your kids to come up with a good reason why the sukkah isn’t kosher). The first dog goes to his brother’s sukkah, which is made of sticks, but the wolf finds them, identifies its halachic flaw (not enough schach? ), and blows that one down too. However, when the two dogs meet the last brother in the sukkah made of bricks, the wolf huffs and puffs but can’t blow the house (er, sukkah) down! There’s lots of fun ways to think about the building materials that go into building the sukkah. The above story is one fun example. You can retell a classic story with a sukkah in the place of the house, like The Three Little Pigs, Little Red Riding Hood, or Hansel and Gretel. Related to the last one, you can also build a candy sukkah like the one used by the witch to trap Hansel and Gretel. If you’re up to the task, you can bake a gingerbread sukkah (reminiscent of the houses you might see later in the year). If you want something fast and easy, you can use candy instead, with fruit leather for the walls and assorted green candies for the schach. 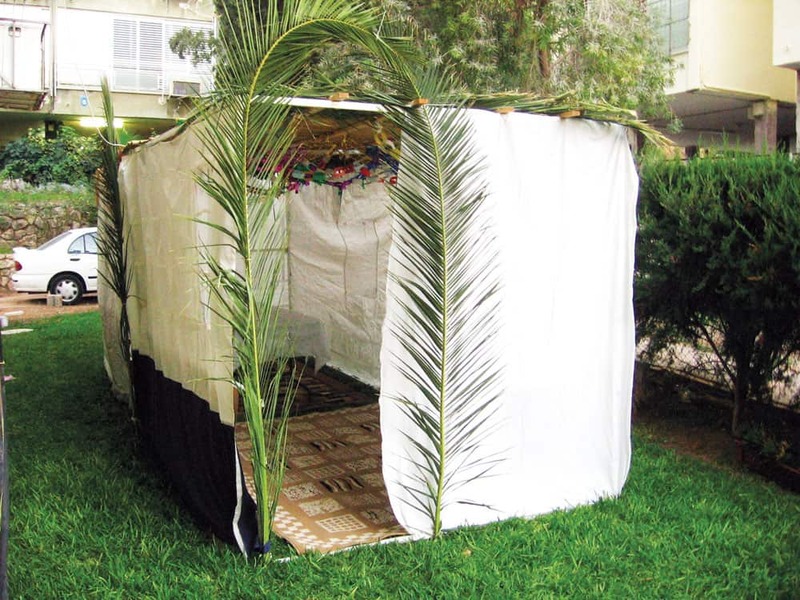 Another fun idea is the shoebox sukkah. Two of my kids did this one as homework assignments in fourth grade (Rachel missed out when we went away that year to a kosher Sukkot vacation). The idea is, you take an old shoebox, turn it on its side, and decorate it as a little sukkah. You can use leaves as the schach, decorate the insides with drawing and pictures, furnish it with a dollhouse table, and populate it with toys. Who can forget the classic tableau of Spongebob, Merida and the red Power Ranger sitting down in a tiny sukkah? If you have a fun shoebox sukkah, feel free to add a photo in the comments! Are you ready to go on a kosher Sukkot vacation with your family this year? Contact Leisure Time Tours to get started today at 718-528-0700.